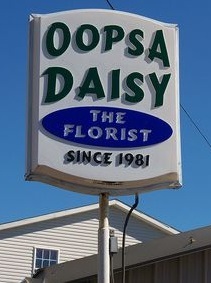 Excellence Since 1981... OOPSA DAISY FLORIST is more than just your average florist! Specializing in Weddings, Fresh Flowers, Sympathy Arrangements, Foliage & Blooming Plants! A SHORT DRIVE ALONG THE SCENIC OHIO RIVER ON STATE RT 7 TO NEWPORT OHIO TO ONE OF THE LARGEST FLORIST AND GIFT SHOP IN THE OHIO VALLEY. WELL WORTH THE DRIVE! 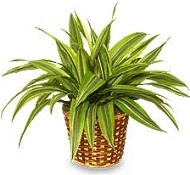 OOPSA DAISY FLORIST is a professional local florist proudly serving Newport, Ohio, Marietta, OH and surrounding areas. Our friendly and knowledgeable staff is ready to assist you when you need flowers delivered locally or anywhere in the world. For your convenience, we also offer daily delivery service to local hospitals and funeral homes. FEATURING HUGH SELECTION OF SILK AND FRESH FLOWERS, CRAFT ITEMS, HANDBAGS AND PURSES, QUILTS AND THROWS, GARDEN FLAGS, OVER 50 THEME CHRISTMAS TREES (IN SEASON) AND MUCH MUCH MORE! WEDDING FLOWERS AND SPECIAL EVENTS ~ Whether your wedding or party is formal or casual… a small gathering or the social event of the year… we can help you plan an event that's a "blooming" success! Call us in advance at 740-473-1411 or 1-800-521-0155 to schedule your consultation. 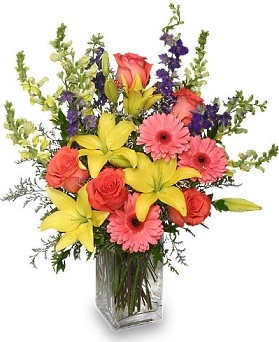 SYMPATHY AND FUNERAL FLOWERS ~ Remember, you can always depend on our staff to help you choose funeral flowers for a friend or loved one. We will design and deliver an arrangement that beautifully conveys your feelings of sympathy and serves as a lovely tribute to the deceased. We also offer gifts for any age or occasion, including plush stuffed animals, balloon bouquets, candy & chocolates, silk arrangements, baby items, home décor, scented candles, Purses, Sunglasses, Scarves and more!